You can see the small center photo of what the room looked like before we completed the first two photos. It has been a huge undertaking replacing windows, electrical, water lines, and adding drywall, doors, and lots of paint. I am still painting. The little bird decided to visit one day while I was working in the garden. I have only canned tomatoes this year, Soup and Salsa. The corn and green beans are frozen. The little chick plant I found on the ground at Walmart nursery. I came home and planted it in a shell I picked up while on a cruise with my 9 daughters earlier this summer. The new yet old sewing machine is a Norse and I am thrilled to own it, I will be starting my sewing business once again after 35 years. 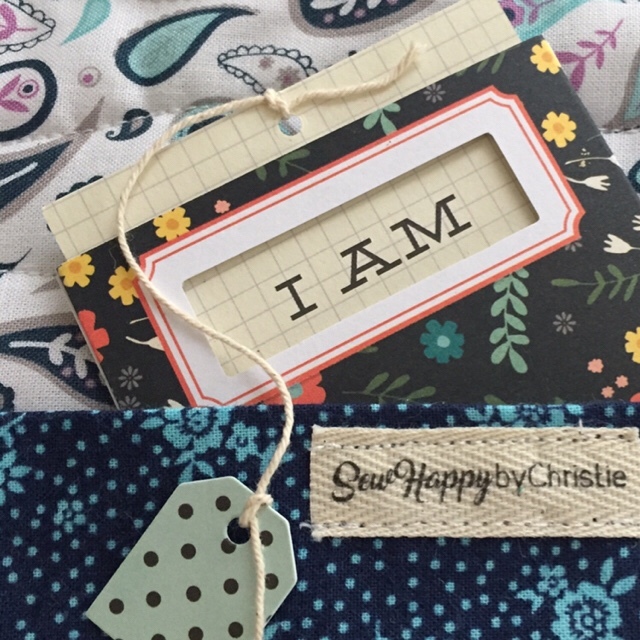 Christie’s Creations is now Sew Happy by Christie. It will be an Etsy shop. But I hope to post here when items become available. The last picture I will be sharing is the one where my Grandson is escorting my Granddaughters to VBS in our little town park. I love, I mean love it here! Moving from the Farm to town and fixing up this little house has been awesome. I sit here thanking the Lord for each moment and know that in my heart He has blessed me beyond measure. I am 64 and can now sit here if I want and write, paint, cook, or sew. I can spend more time in His WORD and if I want I can just watch the clothes dry on the clothes line. I am off for now as the clothes are dry and I need to get them in before the rain starts to fall. If you are the You I am writing too, thank you for stopping by.